This second adaptation of the dark Stephen King novel underwhelms. Since the exponential success of “It” in 2017, Hollywood dollars flowed more freely than ever toward all things King. “It” was itself a second handling of one of the master’s most iconic works. The television miniseries that proceeded the theatrical juggernaut wasn’t half bad. 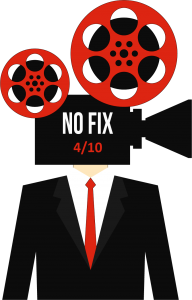 But with “It,” New Line Cinema had gotten it right. 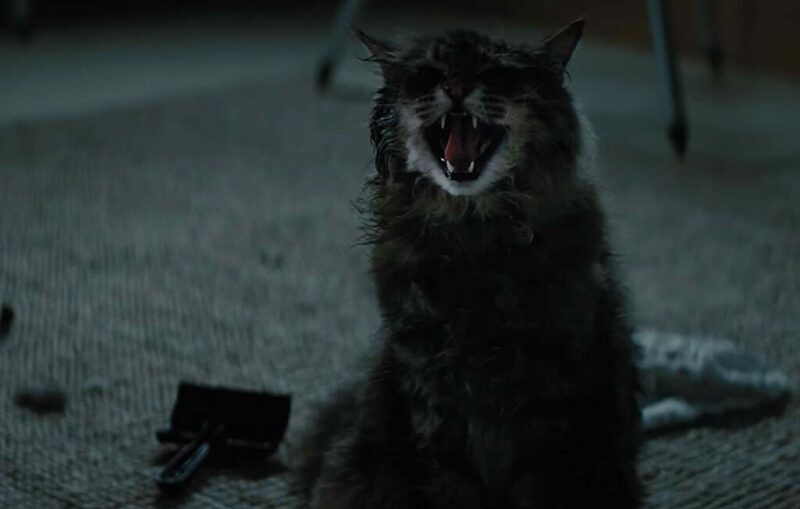 Unfortunately, Paramount’s “Pet Sematary” fails to crack the King code. The Creeds should have sued their real estate agent! 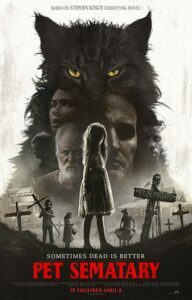 Dark and depressing, the story, one of the King novels that I’ve not read, “Pet Sematary” was effectively brought to the big screen back in 1989. I was in college and saw the film with a date. And the film worked quite well on the girl seated next to me. She grabbed my arm and gripped down tightly as the intense narrative, the screenplay of which was penned by Stephen King himself, chilled viewers to the bone. I’ve not revisited the film since that time, and there’s a reason: it’s really, really dark. 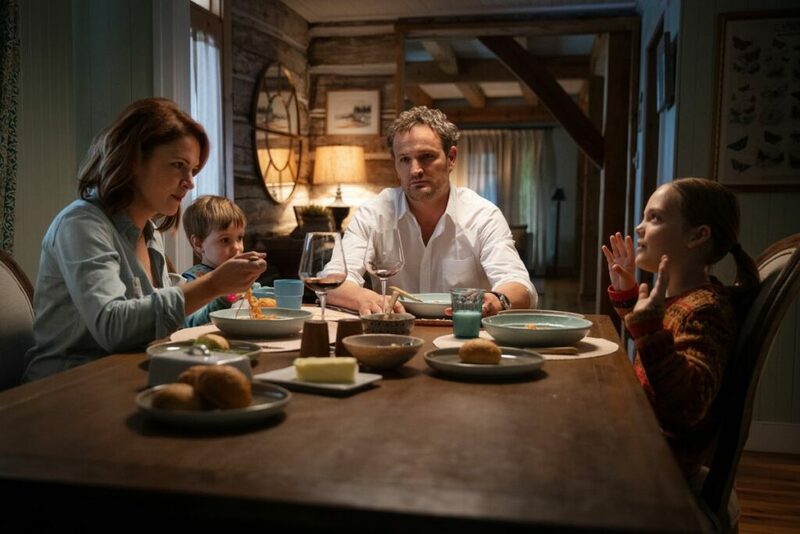 If you don’t know, the “Pet Sematary” story is about the Creed family, who leave the bustling city for the country life in, of course, Maine. We meet Louis (played in the new film by Jason Clarke), a doctor, who left the busy ER in favor of a college clinic. His wife, Rachel (Amy Seimetz), is happy to be in a new place, where she might be able to overcome the demons of her childhood. 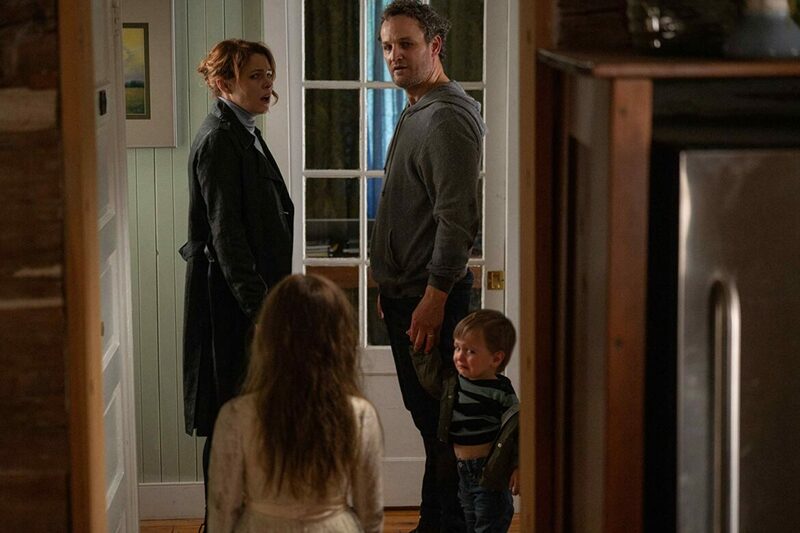 The Creeds have two children, the nine-year-old Ellie (Jeté Laurence) and the toddler aged Gage (played by a tag team of Hugo and Lucas Lavoie). They bring with them their beloved family cat, which will play a key, creepy role in how things unfold. The happy family on the outside, masks inner demons. Once the Creeds settle into their rural home, which is a barn-like cabin on some 50 acres of land, they meet the neighbor, Jud (John Lithgow). And they are introduced to a strange ritual that takes place, apparently with regularity, on their land. 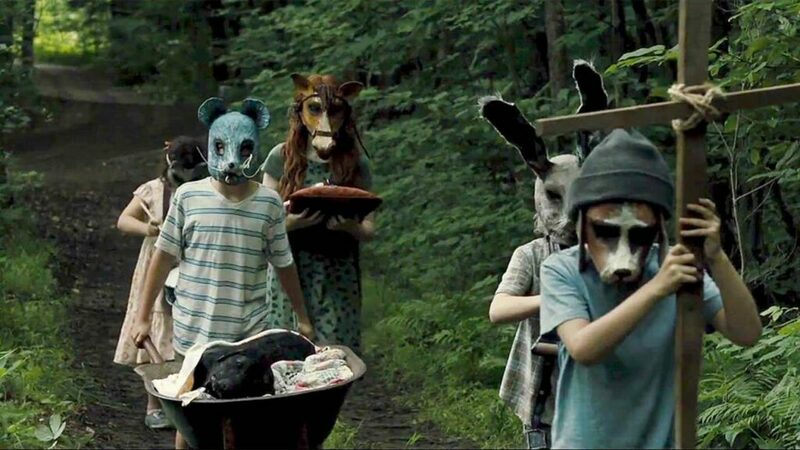 A procession of children in masks pull a cart with a dead dog onto their property to a pet graveyard located a short walk from their home. This scene is more ridiculous than scary. One wonders who their real estate agent was, and why in the world they hadn’t visited the property prior to moving into it? Could it be that the home was purchased online like buying a used car from Carvana? In time, things unravel for the Creeds. The graveyard, bearing the odd misspelled sign “Pet Sematary,” is only a front for something much more sinister. And the theme of how evil works its way into you is thrust on viewers with bludgeoning force. It’s all a very obvious handling of the King material, with lots of bumps and jump scares together with the regulation amount of gore. Anyone who braved the 1989 film, directed so well by Mary Lambert, will be underwhelmed. There’s nothing new here that is worth revisiting. “Sometimes dead is better.” John Lithgow takes over the Jud role, previously played by Fred Gwynne. In an effort to differentiate this version from the previous one, changes have been made. The screenplay is attributed to two writers, Matt Greenberg for screen story and Jeff Buhler for the actual screenplay. Like the 1989 version it’s pretty heavy-handed. However, this one isn’t scary. 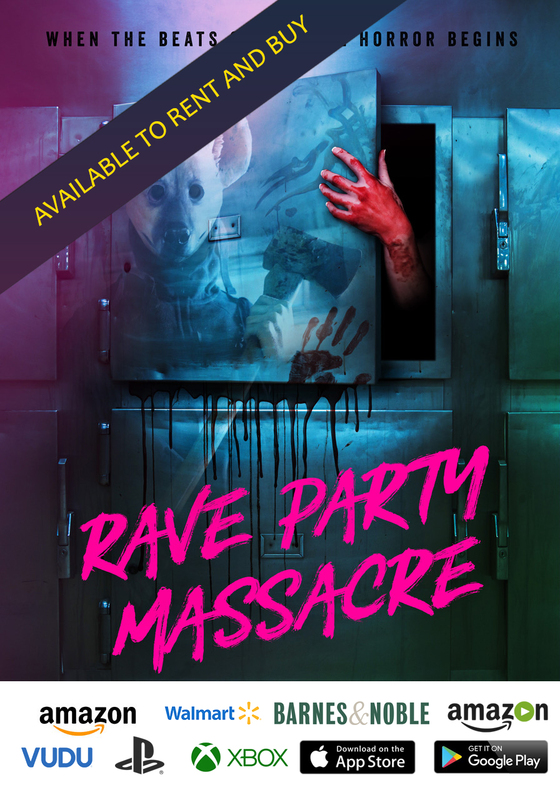 Aside from as few effective jump scares and some interesting scenes involving the place beyond the pet graveyard, the new additions don’t make the story more intense or frightening. Performances are fine across the board, with Seimetz well-cast as Rachel, a mother, who can’t forget losing her sister when she was very young. But it is Rachel’s story that seems oddly out-of-place. It’s like a completely different movie detached entirely from the overarching narrative. There’s no genuine connection to it and the ultimate goings on in rural Maine. Frankly, the flashbacks feel tacked on and exploitive, as we see the sister crippled by a terrible spinal deformity. One wonders whether the filmmakers considered those who really suffer from this illness and whether it was good form to depict such a person as a monster, an over-the-top ghoul. There is a responsibility here for the production to be a little more sensitive. Had the story been entirely about that experience, we could have explored perspective. The sister was not a monster, but the young Rachel saw her that way. Sadly, “Pet Sematary” is about as sensitive as a hammer. Another movie, another scary cat. We’ve seen this before. 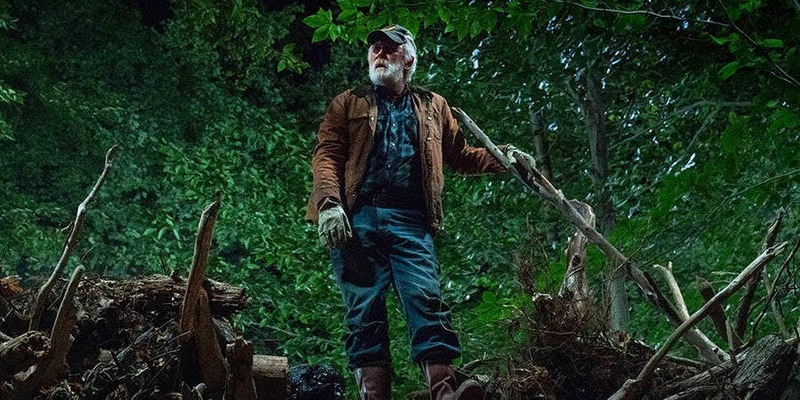 Adding nothing to the King world, aside from an opportunity to milk a few more dollars out of a previously adapted novel, “Pet Sematary” is hopefully not the theatrical future of the great writer’s work.